Commercial Trash Bin Rental: How Does the Drop-Off Service Work? 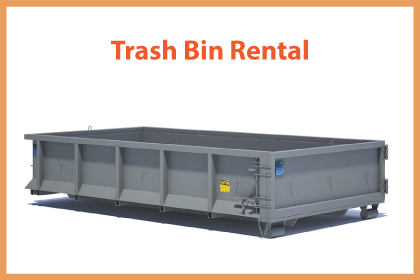 At TrashKing, we offer commercial trash bins for rent to businesses in Canada. The process is simple and starts with an online quote to speak with one of our waste management specialists. Together, we can come up with a trash removal solution that minimizes your costs and handles all your trash needs. Temporary Dumpsters VS Permanent Dumpsters: What’s the Difference? Our roll off dumpsters can be temporary service where we deliver them as you need them and pick them up when you call us. Or, we can offer you scheduled permanent service where we leave a garbage bin on your property and pick it up on a regular schedule. Some of our customers create lots of trash and need us to come twice a week to pick up their commercial trash bins. Others, rent larger garbage dumpsters and have us come once week but whatever frequency that best suits your business is fine with us. We can also modify the service during peak periods or slow periods for seasonal or inconsistent business. Whatever works best for your business is what we aim to provide. If your business creates waste on a regular basis, there are sometimes ways to reduce costs of trash bin rentals. For example, metal recycling bins are available and they can be subsidized, free or even can provide revenue to your company. Some customers can make significant improvements to their waste management service through reselling the offcuts and waste byproducts that are created in everyday operations. 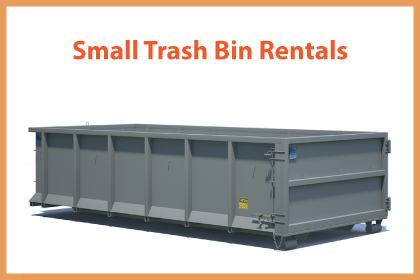 Simply get an online quote or select your city for commercial trash bin rental rates. After that you select your trash bin size and choose a date for us to drop off the trash-bin. Fill up the commercial trash bin as needed and give us a call to schedule a pick up or dump and return. We send you a receipt for the agreed upon price after we know the tipping fees. We can help you plan and improve your commercial and industrial waste management services. Simply reach out to our local Trash King approved contractors and request a trash management audit. We can work with you to provide the most cost effective and environmentally friendly options for on-going disposal solutions. Did you know that TrashKing recycles whenever possible? We are committed to ethical disposal practices, so when you rent a trash dumpster, you can rest assured that your materials are not going to be dumped on the side of the road or an alleyway. We only use licensed and reputable recycling partners and transfer stations in Greater Vancouver. We never cut corners with garbage disposal and do our very best to minimize the environmental impact of your commercial waste. Some of our partners even separate the trash from the recyclables and reduce the amount of garbage sent to the landfills. We are all working towards sustainability and at TrashKing we pride ourselves on doing our part to help in that process. Commercial Waste Management: Is it Time for a Second Opinion? 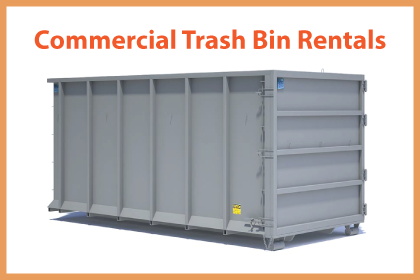 If you would like a second opinion on your commercial waste management solution, please call TrashKing and ask to speak to one of our commercial dumpster rental specialists. They can help you decide whether your existing waste management provider is giving you the value that your company deserves or whether we can offer you a better value, either in terms of cost or recycling initiatives. Cardboard is another example of a material that can be recycled and yield cheap trash bin rentals. Simply, separate the corrugated cardboard into a separate recycling bin and often if you produce enough of it, Simply give us a call at 604-433-5865 and let’s work together to remove your trash in the most economical and simple way. The way it works is simple, metal such as steel, aluminum, copper, stainless steel, brass and other ferrous and non-ferrous metals are a commodity and can be sold for scrap. So if the value of the contents of your metal trash bin exceeds the cost of the dumpster rental then we pay you the difference.